As the legalization of medical marijuana makes headway into many states in the USA, the medical use of cannabis is finally gaining understanding and acceptance in both the public eye and the medical community. Finally, patients suffering from sleep and eating disorders, nausea, IBD, Crohns Disease, and a variety of nerve and gastrointestinal disorders can gain comfort in a very natural and balanced way. That is, if they can get the right variety of medical marijuana to treat their symptoms. THC (Tetrahydrocannabinol) is only one useful compound in the cannabis plant, and medical research is finding that CBD (cannabidiol) is more useful in treating gastrointestinal discomfort and sleep disorders, for example, than THC. 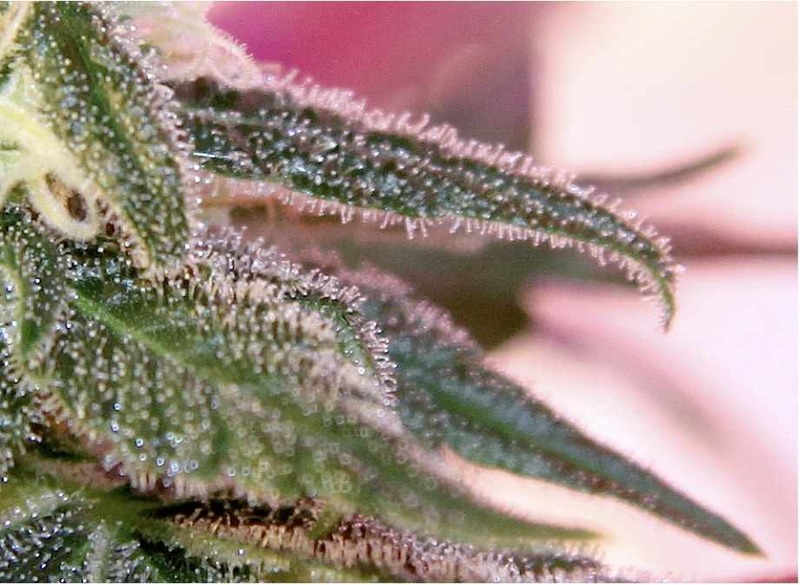 After well over a half-century of prohibition, which amounts to decade upon decade of life cycles of the cannabis plants, cannabis breeding had become focused on maximizing the “high” brought on by THC – breeders and growers were looking to maximize profits per gram/ounce by increasing THC concentration in their crops. This selective breeding has created many high-THC strains of marijuana (the famous “White Widow” being a flagship example) and shifted the spectrum of THC/CBD content far in the direction of THC. As medical marijuana gains acceptance, it is obvious that legalization is not just a ploy by “stoners” to get the “medicine” (wink wink) they want. The interest in high CBD strains – which don’t induce the same “high” as THC-heavy strains – can be taken as a case in point. Critics of medical marijuana should ask themselves: why people would want to consume marijuana that doesn’t get them high? Well, they won’t ask that question because the pharmaceutical lobby tells them not to, but that’s another story. The obvious truth is that the demand for true medical cannabis strains is there, and seed banks & breeders are responding. Yep – once again, people with the freedom to choose are finding the way… prohibition did nothing. So, if you are looking for the relief of symptoms that CBD can provide, which strain should you choose to grow a high CBD marijuana plant? In recent years, the “Juanita La Lagrimosa” strain has received a lot of attention for it’s high CBD content, but at $120 for a package of seeds, it may be a bit out of the budget of some home growers. Fear not! Where seeds are planted, plants grow, and can be bred again into new strains. Royal Queen Seeds (a reputable seed provider) has bred the beautiful Juanita with some of their own strains to create more budget friendly strains, notably “Royal Medic” and “Royal Highness”. Unfortunately, at the time the article is being published, RQS does not provide a THC/CBD breakdown on their data sheet. We have grown Royal Medic, and it does not have the typical strong THC high characteristics, which leads us to believe that there is likely a significant CBD content. Dutch Passion (one of our favorite seed banks) has reacted quickly to market demand and now offers “CBD ShunkHaze” a 5% THC/5% CBD strain that promises to change the face of home medical marijuana growing. At a ratio of 1:1, it will very likely provide exactly the right medical qualities for those who are looking to keep their mental focus while taking medical marijuana. This would be an excellent plant for making a medical marijuana tincture, as described in our previous post. The strain “Sour Tsunami” is well known in California and Washington state dispensaries, yet remains a fairly expensive seed investment for the home grower (currently around $100 from Canadian seed banks). The upside is the potential for relatively high CBD content. See http://projectcbd.org/ for more info on this strain. The projectcbd website is an excellent information resource in general, with well written articles and an expanding database on CBD strains, providers, and medical research. For our UK readers, here is a link to the great Rhino Seeds site’s high CBD shopping list. Prices are reasonable, and they have some of the strains noted on projectcbd.org. As always, grow your marijuana using natural, composted soil for the best possible results. Shy away from environmentally unfriendly chemical fertilizers, and re-compost your soil after each grow cycle to recharge it with nutrients and rid it of pest the natural way. Thanks for visiting our blog – If you’re missing the most important ingredient on the list above – high quality, organically grown medical marijuana – then order Glenn Panik’s well-written for beginning growers, “How To Grow Cannabis At Home: A Guide To Indoor Medical Marijuana Growing” available on iTunes here, for the Amazon Kindle or via Smashwords here. Smashwords provides you with all the formats in one; Kindle, iBooks, PDF, etc. You can also order the ‘stealth title’ of our information-packed ebook for the Kindle here. but where can you get them here in the states ? hello Robert. this seed company ships to usa. 10% THC / 11% CBD Close to 1:1 THC / CBD making Medical Mass an ideal medicinal marijuana. CBD Oil is one of my favorites marijuana product! I love buying them!